Oil prices edged up to fresh 2016 highs on Thursday, buoyed by a fall in U.S. crude inventories, a weaker dollar and strong demand, although some analysts warned that the recent rally was starting to look overblown. 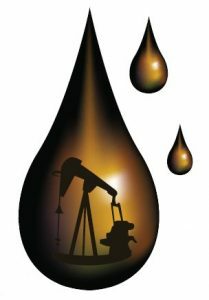 International Brent crude oil futures hit a high of $52.86 a barrel, and were up 23 cents at $52.74 a barrel at 0700 GMT. U.S. crude hit a fresh high of $51.67 and was up 33 cents higher at $51.56 a barrel. Traders said the rises were largely a result of a drop in U.S. crude inventories. Data from the U.S. Energy Information Administration (EIA) showed U.S. crude stocks last week fell by 3.23 million barrels to 532.5 million barrels, marking their third consecutive weekly fall. Analysts said that some of the U.S. drawdown was down to disrupted Canadian output due to wildfires. “Lower than usual Canadian flows have helped fuel the draw in … stock,” consultancy Energy Aspects said. “We estimate Canadian output losses will total 29 million barrels across May and June, after adjusting for turnaround work that was underway before the wildfires broke out, and assuming a pre wildfire utilisation rate of 85 percent of (the 2015 average),” it added. A weaker dollar is also supporting oil prices traders said. The dollar is down around 2.4 percent this month against a basket of currencies, making dollar-traded fuel imports for countries using other currencies cheaper. But some analysts said there were also signs that the recent oil price rise, which saw Brent rally 6 percent this month and prices virtually double since February to one-year highs, may be overblown. ANZ bank said that price rises were “tempered by an increase in (U.S.) crude production of 10,000 barrels per day to 8.75 million barrels per day and the number of active rigs increasing by 9 to 325”. Traders also warned of an ongoing build in refined product stocks in the United States and Asia. With fundamentals weighing both for and against higher prices, many traders and analysts say a price tag of $50-60 for a barrel of crude may be fair value for oil. This is reflected in Brent’s forward curve, which stays within that range until early 2021. The recent rise in crude oil prices has put pressure on refining margins. Singapore’s overall refinery margins, known as cracks and which include gasoline, jet fuel, gas oil, naphtha and fuel oil, are down over 60 percent this year to $4.50 per barrel, pulled down largely by tumbling cracks for gasoline and naphtha.